Never Tired of Vung Tau | ADDIN | Another way for us to speak.. Never Tired of Vung Tau – ADDIN | Another way for us to speak..
Vung Tau is a sea port city 100 km east of Ho Chi Minh City. There are shipyards, fabrication yards, supply base, ships & rigs in transit. But Vung Tau is also the place for tourism, a beach getaway & fine seafood. Being a day trip from HCMC, we would always leave before 8am to maximize day time there; or simply to catch the 8.30 am hydrofoil ferry. Deciding to take a ferry or to drive depends on your budget; and if riding a boat is part of your plan. A ferry ride from HCMC would take an hour & a half, for USD10 per person. The boat will cruise along the Saigon river all the way to Vung Tau. You could enjoy the river & countryside scenery on the boatride. Alternatively, in another trip we did also drove to Vung Tau along the new highway. Driving will also take relatively about an hour plus. We stopped by at Long Thanh Dairy Park where they sell all sorts of dairy products from fresh milk to cheese to yogurt, at cheap prices. Interesting place for a pitstop! At Vung Tau, we normally go to fresh seafood markets by the roadside selling live crab, shrimp & fish and purchase a few kilograms of crab to bring back to cook at home. Our family trip’s main destination in Vung Tau would be the Ho May Eco-tourism & Cultural park on top of the big mountain (as they call it). Tickets to enter is 300k VND or about $15, including cable car up the hill and all theme park rides, water park & all sorts if activities. You wouldn’t have to add a single cent for any rides, except for food. 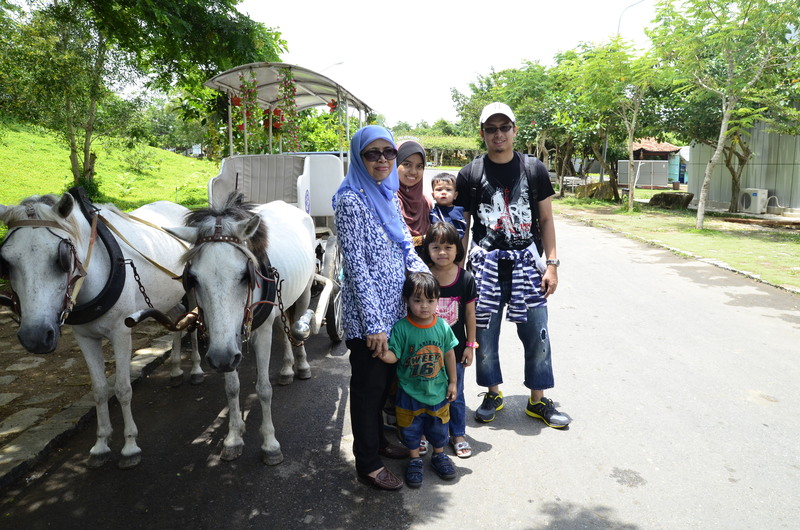 The theme park is among the most decent and family-friendly, never over-crowded even on the weekends. The park comprises of a lake, resort, flower garden, mini zoo, water games and an amusement park, complete with activities and rides for kids & adults alike. Basically, there’s literally something for everyone. 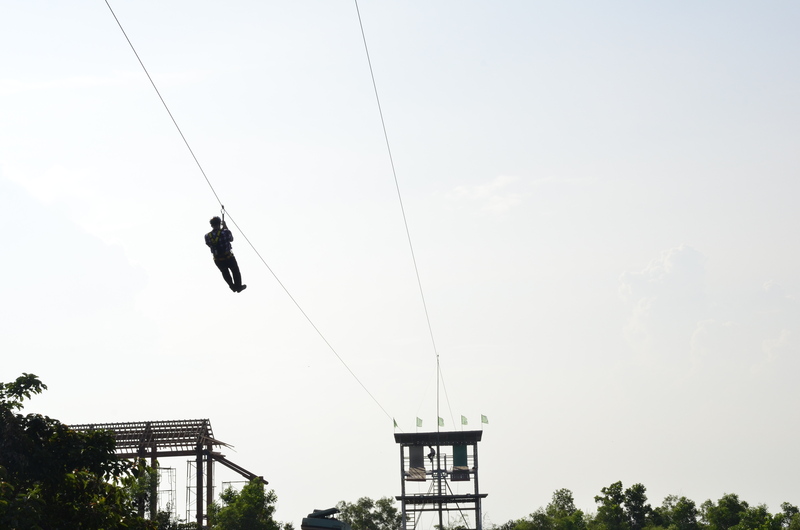 There are also extreme activities such as flying fox, wall climbing & go-kart. The flying fox goes across 2 hills approximately 200 meters above sea level, which gives a new perspective to the sport, at least to us. The challenge & the view made the experience to us extremely worth it. The Alpine-coaster (controllable roller coaster), is a one of a kind experience. Going through the bushes and trees on the mountain, you could manually control your speed going downhill. Our kids really love the ride and my son will be heartbroken when some staff, once denied him from the ride because of his height (he was only 3). Besides these, other places and activities are: a mini zoo, a bird park, a lake (Cloud Lake) where you could swan paddle, a waterfall, horse riding, chariot rides, ostrich feeding and many more family activities to enjoy. There is also a water park for kids & adults to enjoy. Already paid for. My family & I would spend the whole afternoon up on the Big Mountain before returning down. We once had a swim at the beach in Vung Tau, but the place is pretty crowded and no proper facilities for changing. Furthermore, we’ve seen much better beaches, even nearby in Ho Tram. We drove by the Christ statue on top of one of the hills, an obvious landmark in Vung Tau, but scaling the monument is not that suitable for my family with small kids, so we always omit the statue. 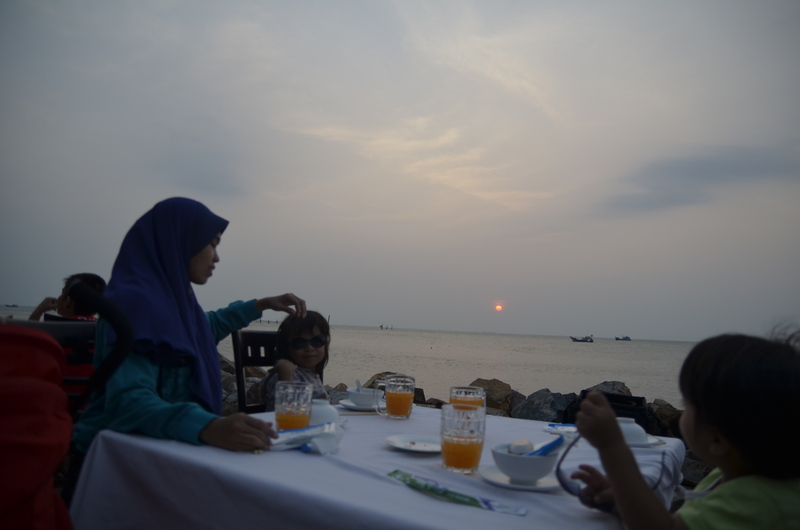 Our day normally ends at the Gan Hao seafood restaurant where we dine fine seafood by the seaside while watching the sunset. Our favourites here are the crabs, baby squid, fried eel, shrimps, clams & oysters. And they have a variety of recipes to give a perfect taste to the seafood. Just ask for their recommendation. Alternatively, you can dine seafood at Lan Rung resort. We have eaten there once, but I personally prefer Gan Hao. After the nice dinner, we left for Ho Chi Minh City via car. Hydrofoil finishes at 6pm. If you have no transportation, you might just want to spend the night in Vung Tau. Being a shipping & supply base & tourism city, there are plenty of hotels around from 5 stars to backpackers hostels. I personally stayed at Rex Hotel once on a business trip. In a nutshell, Vung Tau indeed offers its own attraction that visitors would not regret traveling. The 3 times mybfamily & I went to Vung Tau this year were all awesome & memorable trips considering the experience we gain & the awesome food we tasted.